Health Fair Connections | How Do I Back Out Registered Health Fair Vendors & Exhibitors? Every now and then, you might make a mistake and select the wrong vendor or accidentally overbook. No worries! 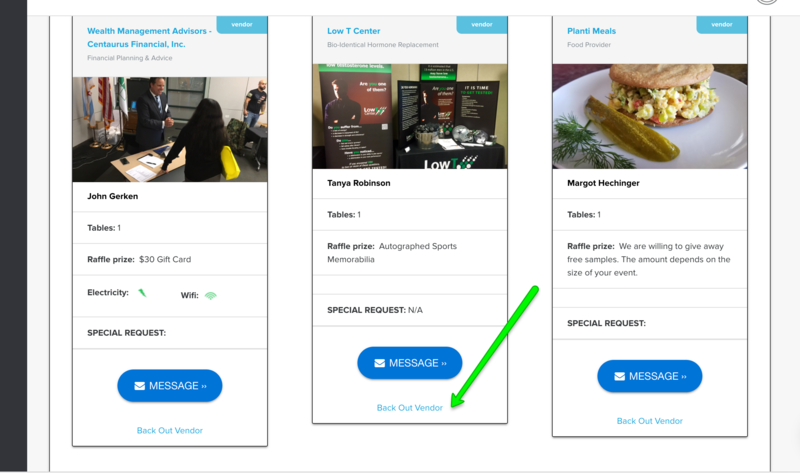 HR, benefits, and other health fair organizers always have full control over the vendors & exhibitors in their health fair when using HFC's platform. So with that being said, below are the few easy steps to back out any vendor registered for your health fair. 1. Head to the Registered tab in your Vendors section. 2. Find the vendor you want to remove and select "Back Out Vendor"
3. 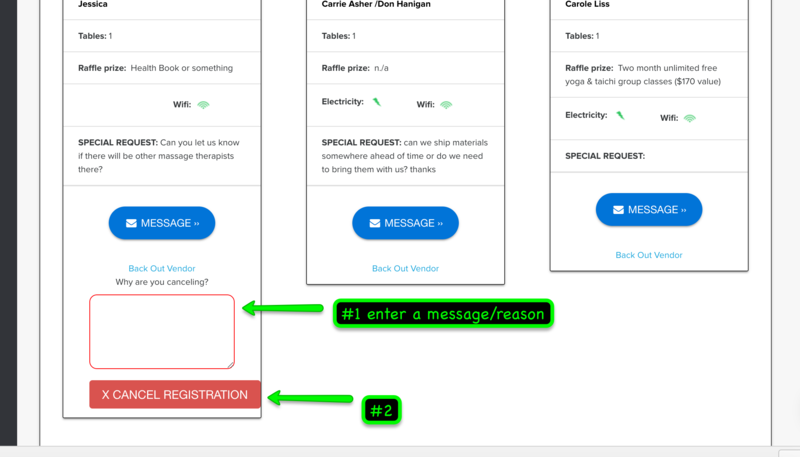 Enter your reason for backing out the vendor and click "CANCEL REGISTRATION"
And just like that, the vendor is notified via HFC that they have been removed from your health fair with the message/reason you entered. Not only that, it will open up another booth spot for you and you can go pick another vendor. If you backed that vendor out for overbooking, you can remove them and then click "Close Registration."